At about 4 a.m., a woman called 911 saying an unknown man was inside her home in the 900 block of Lawrence Drive. The man was walking through the woman’s home and up the stairs toward the female’s location. The woman yelled at the man, startling him. He then fled the home through the unlocked front door. Officers located Dennis Hickey, 35, a short distance away from the home. 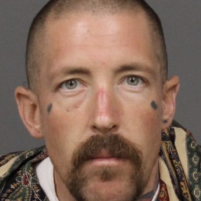 Police arrested Hickey, of San Luis Obispo, for residential burglary, being under the influence of a controlled substance and violating parole. Officers are reminding residents to lock their doors and windows, especially during the late night and early morning hours. Anyone who has additional information about Sunday morning’s incident is asked to call Officer Rouse at (805) 594-8050 or Crime Stoppers at (805) 549-STOP. Who could sleep with all the windows closed? He could just as easily grabbed her when she screamed at him, get yourself firearm training and a handgun. And why was he out on parole when he is still a danger to the public? Why doesn’t the parole board have to answer for this? Good reason to have a dog. A dog is one of the best deterrents. The Democrats (Attorney General Kamala Harris) rewrote the laws under Prop 47, 57 and AB 109 and labeled them Neighborhood Safety Changes on the ballot and the voters fill for it and voted then in. And what do they do? Reduce felonies to misdemeanors, slab on the wrist and release, no priories can be presented to the parole board, most of the sentences are to be served at half the time, etc. That is why most offenders when arrested say out on parole or in violation of probation. Talk about scary, poor lady!